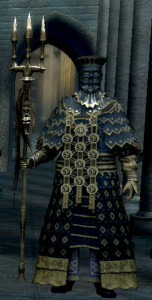 Dark Souls has captured my attention like no other video game before. The basics of the game are relatively simple. You have a set amount of resources, including health, a number of healing potions (called estus flasks), and perhaps some spells depending on your advancement and equipment choices. You set out from a bonfire to explore an area, collecting souls as you go. Souls are acquired by (mostly) killing enemies and (occasionally) found as treasure. If you rest at a bonfire, resources are replenished and all recurring enemies respawn. Bosses and mini-bosses (for lack of a better term) stay dead once killed. If you die, you lose all souls that have been gained from killing enemies (though not those found as treasure, which remain in your inventory until you convert them to actual souls that can be spent). You can reclaim any souls lost if you return to where you died before you die again. Souls can be used to level up (increasing your choice of any one stat) or as currency to purchase items. These dynamics should seem extremely familiar, because other than a few nuances, they almost entirely replicate the OD&D game approach of recovering treasure to gain XP using a limited number of resources, such as HP and spells, which replenish between excursions. Every action you take is a balance between risk and reward. Do you want to go a little bit farther, risking the souls you have accumulated, or do you want to return to a bonfire to replenish resources (and perhaps level up)? 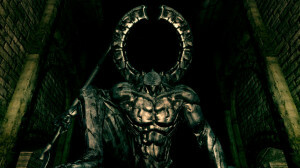 Is now the time to challenge a boss, which, if defeated, will permanently alter the game world, perhaps opening up new areas? 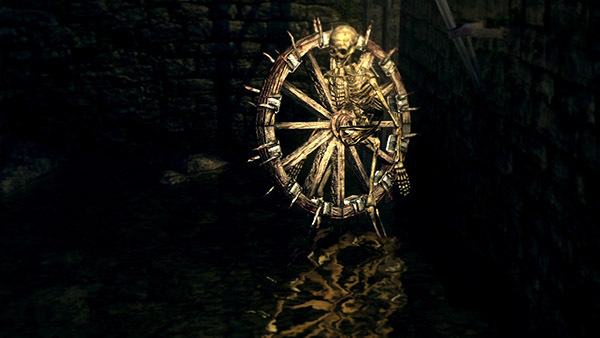 The twin factors that make Dark Souls so remarkable are extremely tight gameplay and an aesthetic sensibility that manages to be both restrained (in an almost classical manner) and wildly creative. 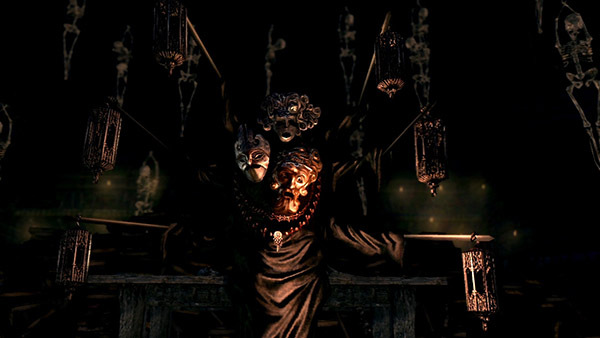 The style is primarily brooding European gothic, with plate armor, visored helms, western dragons, gargoyles, and so forth, but, as with many Japanese fantasy games, there is also a smattering of East Asian gear and many of the creatures have a vaguely Shinto demeanor. Being primarily* a one-player, action RPG, combat is the main element of gameplay, and almost all PC capabilities and equipment are geared towards combat efficiency. 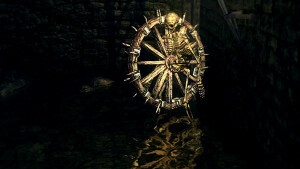 That said, running away (or past) enemies is often a viable strategy, and, in addition, many dirty tricks are possible, such as knocking enemies over ledges or into the path of traps. Dark Souls combat is real-time and highly positional, though minimal reflex is involved. Combat is paced, almost languid. Almost all actions have very explicit animations, allowing the player to predict and react to enemy attacks and maneuvers once they are learned. This also extends to PC actions, such as drinking a potion or casting a spell. The time taken often exposes you to enemy attacks, meaning that every choice must be carefully weighed and could potentially have consequences. The game rewards careful approach and intelligent tactics far more than quick reaction times. The regions (stages?) are topologically relatively simple, sometimes almost linear, but the connectivity between regions provides a much more vivid sense of extended world than many more open games, which often contain large amounts of open expanse that feel blank and under-detailed. Further, the connections between many areas are somewhat concealed, requiring careful investigation (though no pixel bitching). There are several areas, including some near the beginning of the game, that I did not discover for a long time due to oversight. Finding a new area to explore always felt like a major accomplishment, either by coming across a hidden path or defeating a gatekeeper boss. Though the difficulty of Dark Souls is overstated (I am not very good at video games, and have been able to make considerable progress, though I have not yet finished the game), it does not coddle the player. I can imagine that this might feel frustrating to some people, but I have found it refreshing. There are no undo mechanisms, not even a way to reload an earlier saved game. Once you make a change to your character or the game world (such as by choosing which stat to increase during a level up), it stays changed. If you accidentally kill a friendly NPC (as I did with the first merchant I met), it stays dead. Congratulations, you just made the game more difficult. (In my case, I was unable to buy crossbow bolts until reaching a significantly distant area). Because of this design, defeating a difficult enemy or finding a way around a devious challenge feels all the more satisfying. Personally, I have maintained a strict embargo against looking up strategies online (with the exception of some mechanical issues, like figuring out how to aim the longbow), and would highly recommend this approach, as it makes investigating the world far more engaging. This game is so amazing that this only scratches the surface. 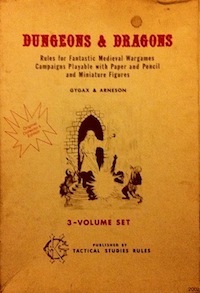 I would particularly recommend those interested in traditional D&D, especially OD&D, to give it a spin. Many elements will be recognizable, and, in addition, the design decisions that are different have been (for me) quite fruitful in inspiring ideas for tabletop games, both in terms of setting and game mechanics. You will need some patience to begin with, as you get used to the dying in order to learn how things work, though that passes relatively quickly. Don’t worry too much about which class you start with, as you will be able to level any character into any abilities. My current game (still the first and only character that I have created), is up to around 130 hours. It is the only video game that I have played where I expect to make a new character immediately after finishing the game to see how it plays with other advancement choices and perhaps tackling regions in a different order. * There are some online features that allow other players to leave signs within your game or assist during fights, but I have not used them and based on my understanding they do not seem important to the experience of play. This entry was posted in Reviews and tagged Dark Souls, video game on July 22, 2014 by Necropraxis. I’ve never been able to fully verbalize why it’s such a great game, excuse the hyperbole but it’s kind of transcendent. I love the flourishes of humor and the unapologetic weird monsters (like old murky and indecipherable NES sprites clarified into 3d). It feels like what I would imagine dungeons being like as a kid, instilling that wonder into me as an adult, timeless. Isn’t this supposed to be one of the most unforgiving and respect-inducing games? I think I read that. It is definitely unforgiving, but in a way that generally feels fair and even interesting. Respect-inducting, I’m not sure what you mean. I play it more casually, I guess you could say, with a focus on exploration and figuring out things myself, as opposed to doing things in the most efficient manner, figuring out loopholes, or doing things like “soul level one” challenges (which means to beat the game without ever gaining a level). My favorite RPG since…well since Final Fantasy 1 in 1987! 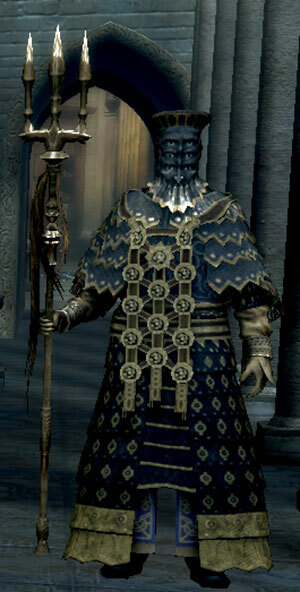 It’s like video games forgot how to be video games and Dark Souls remembered! Yeah I had a similar reaction. 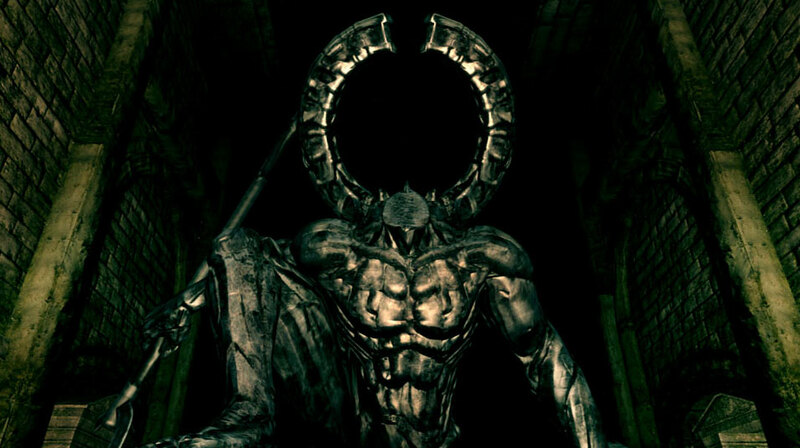 I had planned on writing about Dark Souls 2 as well and its hybridization of elements and themes with Demon’s Souls but it never quite took hold of me the way the perfectly polished experience of Dark Souls did. Thanks for the link. I’ll check it out once I’ve gone through more of the game and had a chance to write my own impressions. It will be interesting to compare reactions.